The TecRec Course went well, despite some terrible weather. Pete Mesley ended up certifying each of us to a different level based on our skills and training timeframe we could commit to. We dived a few different sites around the area but by far the best was Ruby Island. 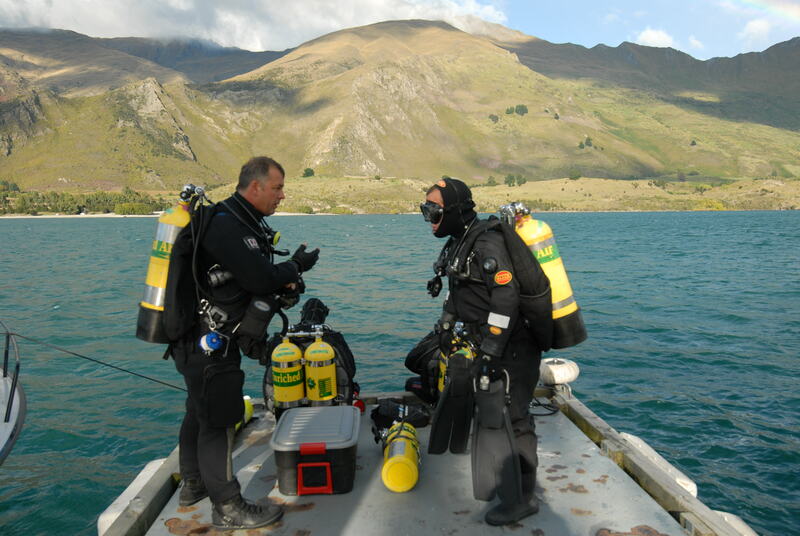 Ruby Island, known as the “jewel of the lake” has an interesting history and is a favourite spot for many Wanaka locals. For a period during the 1920’s and 1930’s the island was the unusual site of a tearoom and Saturday night cabaret. There are rumours that this island was a popular drinking spot during the prohibition. 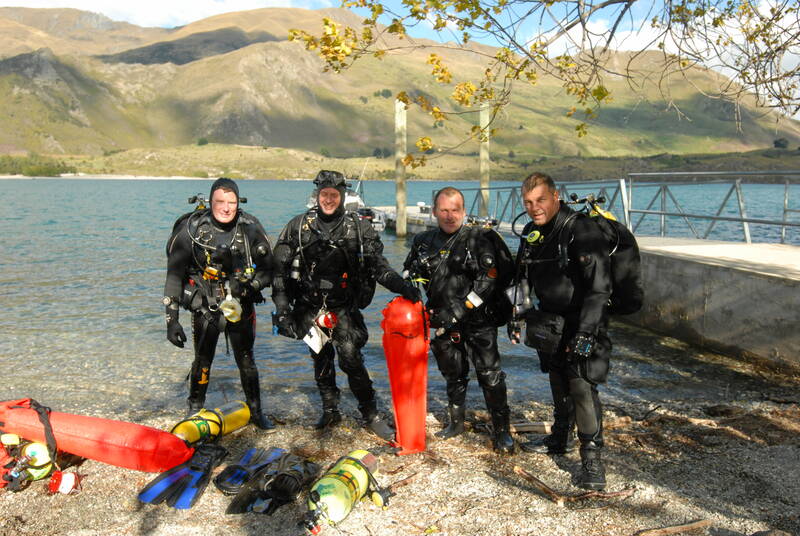 There were 3 students on the course and each attained a different level of the Tec Deep certifications. 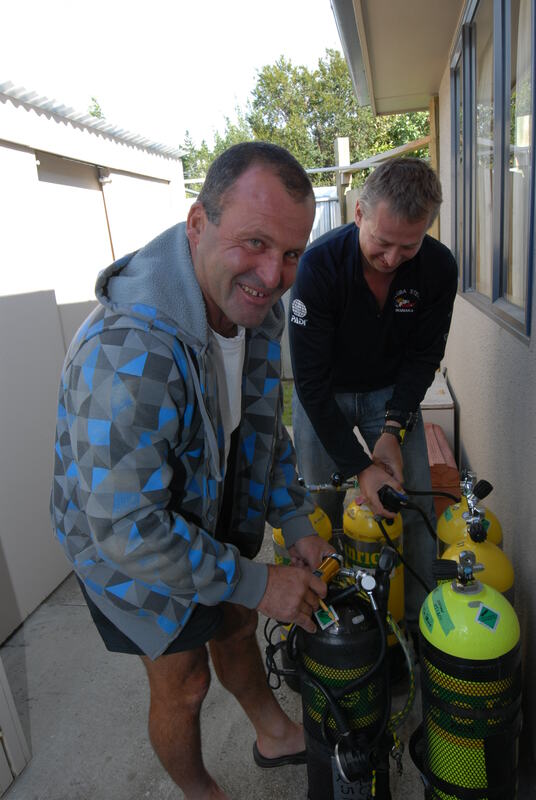 John Walsh who had only been diving for 1 year was certified as Tec40. 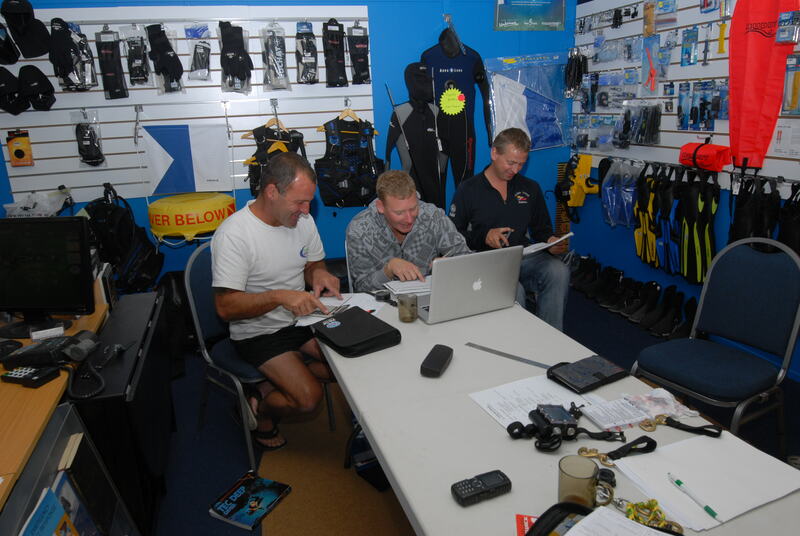 Tim Mitchell who has been an avid diver for over 15 years but had never dived blow 30m until recently achieved Tec45 and then myself a PADI IDCS and commercial diver certified to 50m on SSBA achieving Tec50. The course was far more challenging than I expected and I was surprised at how much I learnt from the program. I did my first recreational dive since the Tec course last weekend and couldn’t help noticing how much better my trim was underwater. Many thanks to Pete Mesley for breaking the mould and venturing south to run this program, the first ever Tec Deep course to run in the South Island of NZ.